He Holds My Right Hand: REVIEW: Graham Blanchard's "Knowing My God Series Starter Set"
REVIEW: Graham Blanchard's "Knowing My God Series Starter Set"
Graham Blanchard Publishing Company, located in Austin, Texas, has a new gift set available: KNOWING MY GOD SERIES STARTER SET. I was sent a set of these board books for review, and I REALLY like what I see. The set has 3 books, and each book is based on a different Bible passage. One thing I like about them is the colorful photographs - real world photos, not just cartoon illustrations - that support the text. They are beautifully done. But, what I like even more is the way these books can grow with your children. 1. When your children are infants, they will be comforted by your voice as you read the text to them. 2. Toddlers will also enjoy the colorful pictures and interacting with you as you name colors and imitate sounds. 3. Older children will benefit from the meaning of each Scripture. Each portion of the verses are accompanied by an explanation that you can read to help explain God's Word to them. Each set is also wrapped in a colorful keepsake book band made of cardstock type material. On the inside of the book band are some thinking and drawing activities to help your older children reflect on what they have seen and heard. A nice touch to the set. 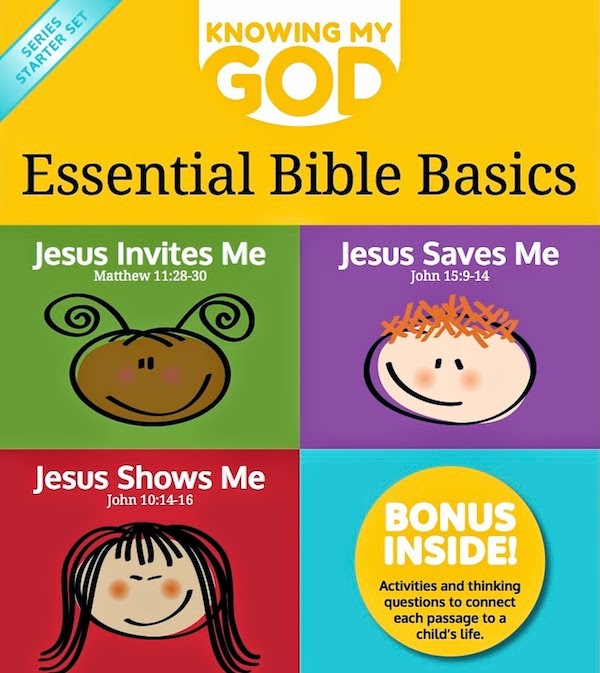 I recommend these books to anyone who has young children or grandchildren, and would like to have some meaningful interactions with them based on God's Word. If you plan on purchasing a set, I have a special discount code you can use on the GRAHAM BLANCHARD WEBSITE through April 30, 2015. Just enter this code on the check-out page, and you will receive 15% off your purchase!